MKX & MK3 fighters revealed! The treacherous Kytinn warrior, D'Vorah, returns from Mortal Kombat X, giving us a clear taste for the present in a game already loaded with fan-favourite klassics! Mortal Kombat 11 takes place after the events of MKX, but time will be bent so the future meets its past, raising questions about the nature of D'Vorah's distinct new apperance. Looking even more insect-like than before, is this a vision of D'Vorah's future -- or past? When last we saw Kabal he was a revenant NPC fighting on behalf of the Netherrealm. With a sharp new mask design, and his trademark hookswords, it seems MK11 is serving up a throwback to Kabal's days as a Black Dragon enforcer. Considering the youthful look of Kano in last week's reveal, we can probably expect some kind of interesting interactions! What do you think of the new look D'Vorah and Kabal? 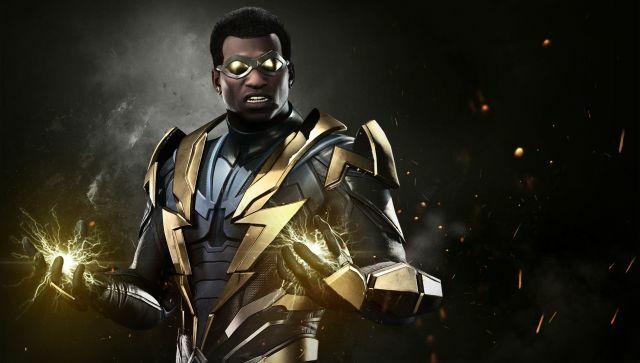 Join the discussion and share your thoughts on the Mortal Kombat 11 forum! This pleases me so much to know the MKX newbies are not being entirely forgotten. Hopefully, at least four of them will be returning. What is it with this community & their gratuitous use of the word "interesting"? I'm just curious. captivating, invigorating, intriguing, fascinating, compelling, riveting, etc. I love both! Now get that horrible Cassie Cage out of the way, so the torture is over, then return to revealing awesome characters like these two! Was it explained in the Kast why Kabal is Black Dragon again? I don’t remember. He joined the Police in MK9 before being killed and becoming Quans revenent. Has he come from pre Armageddon? Kabal being evil is much better than just another good-guy, before you know it Kabal joins the Special Forces, UGH! Revenant Kabal looks sick. 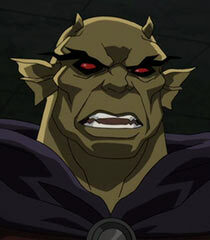 His human variants were pretty great as well. D'vorah looks far more monstrous this game, which I'd say is a good thing. I do kinda hope we get the hooded robe from MKX back, though. D’Vorah looks horrible. She belongs in a B rated sci-fi 80’s film. Or an angier version of C3P0. I take it this is the Kytinn at the most basic. This might be D'Vorah shortly after becoming queen, before taking on a much more humanoid appearance. I don't mind this costume, but I do hope she has clothing options for customization. I don't think he's Black Dragon *again* as such, they just said on the Kast that in order for his buzzsaw move to make sense they've added some lore behind it that Kano gave it to him and it is Black Dragon tech. The description on the trailer says that Kabal is serving the Netherrealm, so I'm thinking his default skin is his revenant one and the human skin from the past is when he was still working for the Black Dragon. Where can we find all these wallpapers actually? LOL@ all male people that only like pretty female characters. They disgust me. I love D’Vorah’s new look. I just hope her moves and fatalities match. 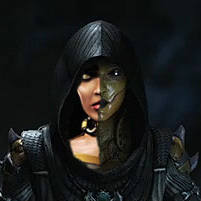 D’Vorah without a doubt has a hood in one of her variations. It’s almost a given. Not really feeling the new mask and hairstyle on Kabal, but we'll probably get the cool MK3 one as gear. Dvorah however looks rad, great design! Did someone say See Three Pee Oh? Would rather have a trailer alongside the Kano and D’Vorah reveals. Feels like a big tease, but still happy. The D’Vorah reveal was the cherry on the pie! It’s too bad the base roster will probably not have a real surprise anymore, aside from maybe 1 more new one and the famous face.